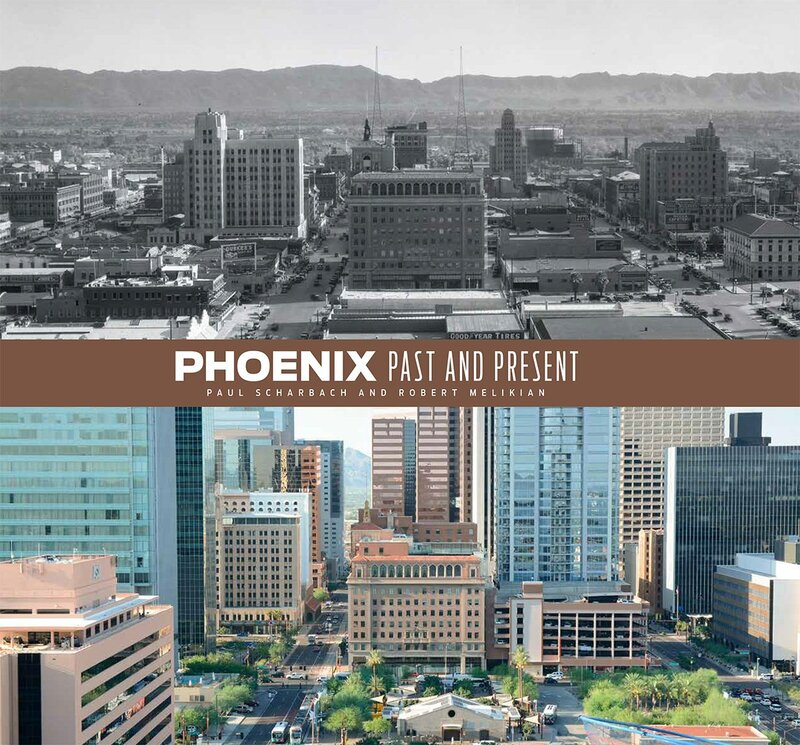 Phoenix Past and Present, a full-color, highly researched book, tells the story of Phoenix through 84 pairs of side-by-side images, one historical and one contemporary. Extensive research was done to identify the photographer's vantage point in the historical image and to make the contemporary photograph from the exact same spot. Each pair of images includes a brief narrative providing historical background and the location of every photograph. This hardcover photography and history book by photographer Paul Scharbach and local historians Robert Melikian and John Jacquemart showcases the stunning growth of a great American city through an expansive collection of historical photographs spanning the late 1880s to the early 1960s, with many rare images never seen before. A lawyer with a passion for architectural historic preservation, ROBERT MELIKIAN grew up in Phoenix, graduating from Arcadia High School and Arizona State University. His family has proudly run Phoenix's landmark Hotel San Carlos since 1973. His other books include Vanishing Phoenix and Hotel San Carlos. PAUL SCHARBACH, a second-generation Phoenix native, has worked as a professional photographer for over 30 years on commercial, stock and book projects. Passionate about local history, he was the photographer and image researcher for the 2005 book Phoenix Then and Now. Historic preservationist JOHN JACQUEMART is proud to be an Arizona native. The ASU graduate has maintained a lifelong interest in Arizona history and previously co-authored two books, Tovrea Castle, and Historic Heritage Square.